The Child of the Elder Blood is, of course, Ciri. Investigate Avallac’h’s intention for the young woman Geralt considers his daughter. This is one of three child quests required for Battle Preparations; I recommend doing it after you’ve finished Veni Vidi Vigo and The Sunstone. If you’ve completed both quests and this has not become available, speak to Avallac’h and then to Yennefer to trigger it. Unless you happen to have stumbled across Avallac’h’s workshop while exploring, you’ll need to sail there. Find your closest fast travel signpost with a boat nearby – Svorlag, Marlin Coast and Eldberg Lighthouse are good ones. Whichever way you sail, sail smart; use custom waypoints on the world map so you don’t sail into intervening islands blindly following the waypoint. When you get close enough, a fast travel harbour icon will open so you can skip the last bit of the trip. When you finally get in there, meet Yennefer and Ciri trying to open the door. Apply Elementa Oil before you speak with them, as Yennefer’s attempt to open the door awakens a Gargoyle sentry. 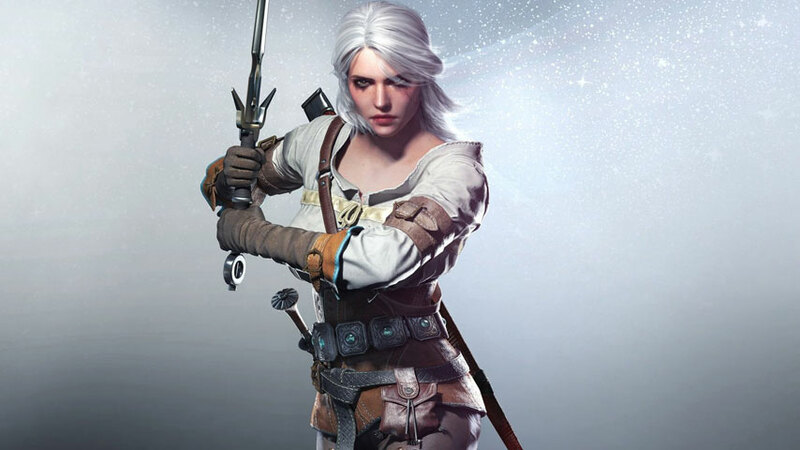 Ciri helps you out in the battle. When it’s dead, wait for the door to fully open and enter the lab. You’re supposed to search with your Witcher Senses but Yennefer finds something right away, so go take a look. Then check around the antechamber to discover Avallac’h’s dark secret: he likes candy. Presumably there are more secrets inside, so keep searching. On the passage to the next area you can find a hairbrush. On the lower level Geralt calls Yennefer and Ciri to examine a huge family tree. Suggest looking at Avallac’h’s notes. Loot the cabinet under the tree – it’s tricky to find the spot – for some very interesting nots. Yen spots movement behind a nearby door, but check out a mirror and some perfume on a little table before you go through. Tell Ciri “Go for it”, encouraging her to chuck a tantrum, to push towards a positive ending. Tell Ciri “Calm down”, talking up her genetic history, to push for a negative ending. When the conversation and cutscenes end, head outside and meet Ciri. Tell Ciri “Yeah, I’ll go with you”, unlocking the extra quest Skjall’s Grave and pushing for a positive ending. Tell Ciri “No time”, skipping the next quest and pushing for a negative ending. The quest ends after this dialogue. Onwards to Skjall’s Grave, if available, or On Thin Ice otherwise. Onwards to Skjall’s Grave or onwards to On Thin Ice, or back to The Witcher 3: Act Three.